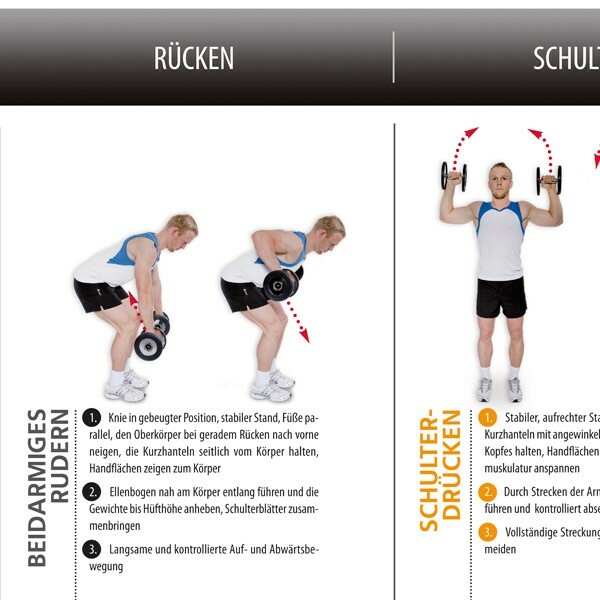 The Sport-Tiedje dumbbell exercise poster offers detailed, easy to understand instructions for dumbbell workouts. Exercises for different parts of the body allow an effective and time-saving muscle workout for the whole body. Find 18 dumbbell exercises for beginners and pros on 70 x 100 cm. 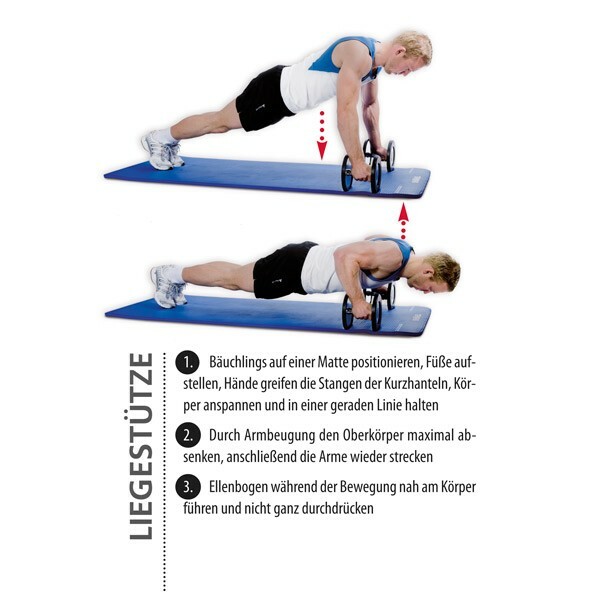 The structure of the exercise poster is clear, single exercises are clearly illustrated, so that you can immediately start your dumbbell workout with the Sport-Tiedje dumbbell exercise poster. The exercise instructions have been professionally produced and editorially revised for an easy understanding. 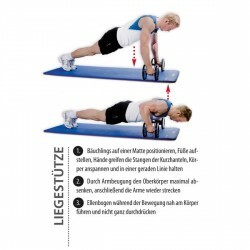 The expensive, graphic design of the Sport-Tiedje dumbbell exercise poster is very clear. Desired dumbbell workouts can be rapidly found and visually recognized. The Sport-Tiedje dumbbell exercise poster is ideal for home workouts and those at gym.